The current approach to APC management can be highly fragmented and beset by inefficiencies in process and scarcity of resources. Academic institutions themselves face many of the same problems, and so publishers and institutions have significant incentive to collaborate on streamlining the process. With these few simple steps, you can better support an open access ecosystem. As a result, a two-way relationship between author and publisher is transforming into a three- or four-way relationship involving the institution and potentially an external funder. This means recognizing that in some cases institutional administrators themselves may need to use manuscript submission and payment systems on behalf of their authors. Publishers can also overcome some of the delays in the open access workflow by developing good working relationships with key members of staff in the library or research support office, particularly at the most research-intensive institutions. As the volume of APCs continues to rise, both institutions and publishers acknowledge that manually processing individual invoices for each article is an unsustainable model. A few institutions remain cautious about the value of aggregated billing arrangements, fearing a loss of transparency in APC pricing, but such arrangements can be invaluable in reducing the administrative burden on both universities and publishers. Some publishers are also exploring more innovative arrangements, by which agreement is reached with a national funder or a consortium of libraries to offset article-processing charges against subscription costs. Ensuring scalability should be uppermost in the minds of all publishers as they develop new business processes to support open access. The key to helping institutions meet funder requirements lies in obtaining better quality data at an early stage from publishers. “What we need are actual APC costs, date of payment, license type, DOI and agreed publication date,” observed Valerie McCutcheon, Research Information Manager at the University of Glasgow. their workflows, and with the release of the National Information Standards Organization’s (NISO) Recommended Practice on Access and Licensing for e-content, standards are beginning to emerge in this area. Publishers also have a vital role to play in shaping the development of new standards, for example, by contributing to the work of the Consortia Advancing Standards in Research Administration Information (CASRAI). A version of this article originally appeared in Book Business. 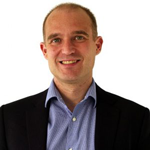 Rob Johnson is the founder and director of Nottingham-based Research Consulting.